Date & Time: 12-15-2018 / 1:58 P.M.
On 12-21-2018, the Camarillo Police Department’s Investigations Bureau concluded a week long investigation into the burglary at the Ventura County Office of Education. The outcome of the investigation has resulted in the arrest of Abel Munoz Jr. and Dillon Ray Hill. On 12-15-2018, Abel Munoz Jr and Dillon Hill entered the Ventura County Office of Education and stole numerous computers and other electronic equipment, totally over $15,000.00 in losses. The actions of Munoz and Hill were captured by a video surveillance system at the office. During the investigation, patrol deputies recognized Munoz from the video surveillance. 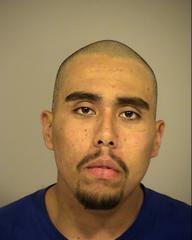 Detectives developed information that Munoz was currently out of custody on Post Release Offender Supervision (PROS). Detectives conducted a probation search of Munoz’s residence and recovered evidence further linking him to the crime. On 12-18-2018, detectives arrested Munoz for his participation in the burglary. Munoz is currently in custody at the Ventura County Main Jail for PC 459 Commercial Burglary and PC 182 Conspiracy to Commit a Crime. Munoz’s bail was set at $40,000.00. During the investigation, detectives were able to identify Dillon Ray Hill as the second suspect in the crime. On 12-21-2018, detectives located and arrested Hill for his participation in the burglary. 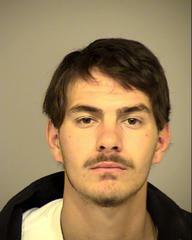 Hill is currently in custody at the Ventura County Main Jail for Commercial Burglary and Conspiracy to Commit a Crime. Hill’s bail was set at $20,000.00.